Reserve Bank of New Zealand: Could the Governor's dovish tone begin to change? While the Federal Reserve no longer views monetary policy as “accommodative” it certainly can’t be described as “restrictive”. Growth is strong, the unemployment rate is at a 50-year low and inflation is at or above the Fed’s 2% target on all the key measures. The ongoing support from massive tax cuts and mounting evidence of rising wage pressures suggest there is little reason to expect any meaningful slowdown in economic growth in the near term. As such, the Fed suggests that the most likely course of action is a further rate hike in December taking it to a total of four 25bp interest rate rises in 2018. 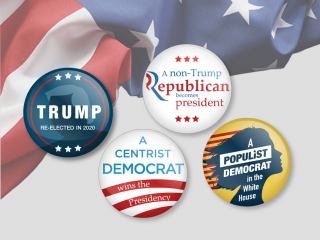 President Trump may not like it, but the Federal Reserve will continue to assert its independence and make policy fit the economic circumstances. Economic activity will likely moderate in 2019 as the fiscal stimulus fades and the lagged effects of a strengthening dollar and higher interest rates dampen growth. 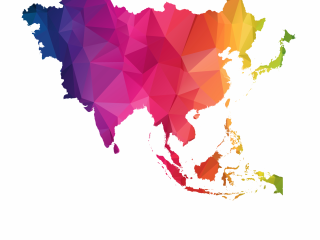 There are also risks for growth in the form of trade protectionism and emerging market struggles, while the recent equity market wobble highlights an additional potential threat. As such, we look for a more modest set of interest rate rises in 2019 – we forecast three hikes that will be spread out over the first three quarters of 2019. Downside risks to the economic outlook have increased and the inflation outlook remains mixed. 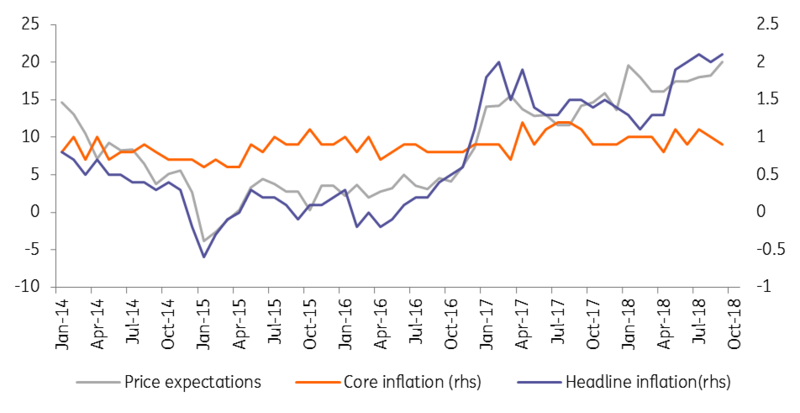 Headline inflation has been hovering around 2% in recent months, mainly due to higher energy prices. But core inflation is still not picking up as the ECB hopes and expects. But while recent developments have been anything but encouraging, the downside risks are simply too minor and too premature for the ECB to alter its chosen path. In our view, it would definitely need a severe growth accident, an escalation of the Italian crisis or trade tensions with tangible consequences on financial markets before the ECB would change its course. At the October meeting, we expect a slightly more dovish stance from the ECB and President Draghi, though still signalling a determination to end QE in December. Looking beyond the end of QE, the ECB could show more flexibility and willingness to react to slowing growth or the absence of an acceleration in core inflation either by postponing the first rate hike far beyond the summer of 2019 and/or by using the reinvestment period to strengthen forward-guidance. In any other situation, we suspect the Bank of England would be looking to increase interest rates pretty soon. 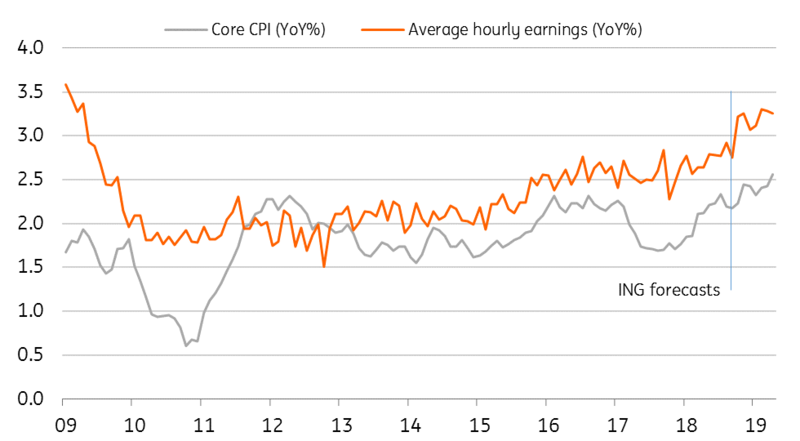 Wage growth - something which has been at the heart of the Bank's rate hike rationale - has been surprisingly strong over the past few months. Pay is now rising at the fastest rate in almost a decade, as businesses find it harder to retain/attract certain skills. Economic activity has also had a better summer generally, helped along by the sunny weather. But despite all this, Brexit remains policymakers' number one consideration. While we do expect the UK and EU to agree a deal, this may not happen until December's European Council, which in turn means it may not be until January that Parliament has its all-important vote. The implication is that we may not know if 'no deal' has been avoided for at least a couple more months, and in the meantime we think growth momentum could slow as businesses and consumers grow more cautious. If a majority of MPs approve the agreement in the Parliamentary vote (despite all the current bluster), then the UK will leave the EU on time in March and the transition phase will commence. This somewhat smoother outcome would keep the door open to a May rate hike. However if MPs reject the deal, or introduce tricky amendments that force Theresa May back to the negotiating table, that date could well get pushed back, even if 'no deal' is averted at the last minute. The Bank of Japan releases its semi-annual report shortly, which could set the tone for the monetary policy meeting later this month. BoJ Governor, Haruhiko Kuroda, has been dropping hints about changes to BoJ policy. Kuroda has been sounding more positive about inflation, with core (ex-fresh food) inflation now at 1.0%. The elusive 2% level may still be the official target, but there is a sense that a more pragmatic “good enough’ rate of about 1% could pave the way for the BoJ to start tweaking its policy stance. Of course, this core measure does not exclude the most powerful driver of inflation in Japan right now, and that is energy. Strip this out too, and inflation is barely positive. But let’s not let facts spoil an otherwise good story. Japanese government bond (JGB) yields, which are officially targeted at “about zero” have been higher than that for some time now, rising to about 0.1% in August, and are now more than half way towards 0.2%. With Kuroda hinting that the 10Y JGB yield is the place to look for clues about a change in BoJ stance, it is worth asking: has this already taken place? And if so, is there more to come? We think yes. The Japanese macro story is better than for some time, with corporate profit strength buoying a robust labour market, low unemployment and rising wages. Consumer spending is good, and the indicators are also positive for business investment. These domestic successes are making up for a weaker export picture. Taken together, they provide a backdrop that could see further stealth tightening by the BoJ. 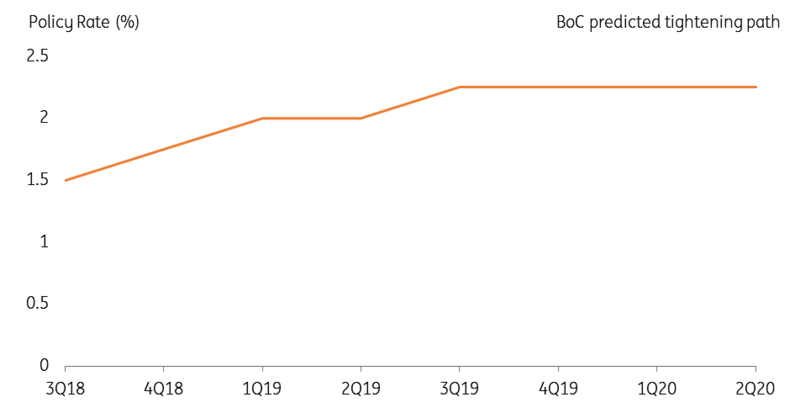 The BoC makes its next policy decision on the 24 October and policymakers have signalled a hike this year is likely. Given their preference to change policy at meetings where a new forecast and quarterly monetary policy report are available, October seems the most likely hike opportunity and it is unsurprising that markets have more-or-less fully priced this in. The key factor holding back the BoC earlier in the year was the uncertainty surrounding the renegotiation of Nafta and the risk it posed to Canada’s most important trading relationship. This issue has been largely resolved, following the agreement of the new United-States-Mexico-Canada-Agreement (USMCA) in late September. Admittedly the recent slowdown in wage growth and the surprisingly weak September inflation print raises some questions around the Bank's tightening plan. However, the key variable for the BoC is core inflation, which remains reasonably solid. This, coupled with the removal of the tariff threat on the back of USMCA, puts the BoC on track for an October rate hike and two more in 2019. There hasn’t been much to say about the RBA for some time, at least since August 2016, when it last changed policy rates and this doesn’t look set to change any time soon. Despite the weaker AUD, the RBA seems happy to let the currency keep sliding. As Deputy Governor, Guy Debelle said recently, the Fed’s actions were helpful in pushing down the AUD, and in helping the economy to achieve its inflation target. So if the AUD falls further, this is one central bank that would not be responding with tighter policy. Debelle was also dismissive about the decline in Australian house prices. However, given outright price declines in some regions, and a very high stock of household debt, the resilience of the Australian consumer cannot be taken for granted, even with the labour market looking tight. Indeed, as markets in Australia have already responded to global conditions with higher interest rates, and these have been passed on by some banks in higher lending rates, the RBA is today even less likely than it was to hike rates a few months ago. 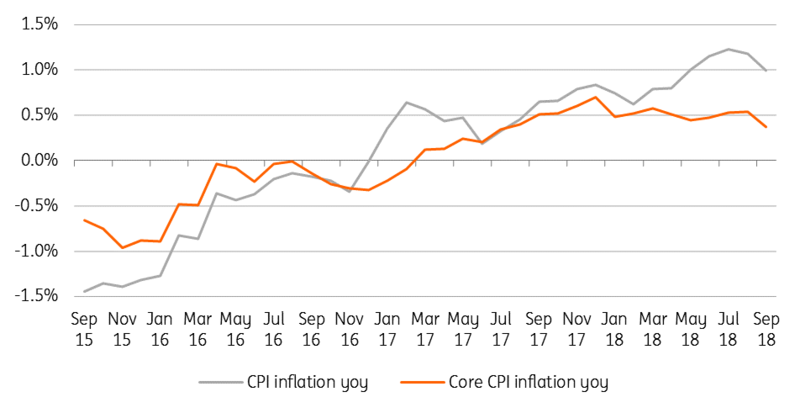 Back in August, RBNZ Governor, Adrian Orr, said that “remarkably low” inflation was giving the central bank headroom to keep rates at their low level “through 2019 and 2020, longer than we projected in our May statement”. Since then, all items CPI inflation has risen to 1.9%, pushed up by higher energy prices and a 0.9%QoQ rise in 3Q18. There is now a very good chance that inflation will increase through the RBNZ’s 2.0% inflation target next quarter. Indeed, even if the QoQ CPI index is unchanged, headline inflation is likely to exceed 2.0% given a 0.2%QoQ decline in the price level in 4Q17. The weaker NZD may also be helping the inflation outlook recover, with 2Q18 import prices hovering around 1.8%, up from 0.0% in the first quarter, and likely to show further imported price increases in the quarter ahead. With the economy looking in decent shape, apart from a rising current account deficit (GDP growth was running at 2.8%YoY in 2Q18, and the unemployment rate is only 4.5% and is trending lower), it would not be surprising if Governor Orr’s dovish tone begins to change, or starts to be questioned by markets. This apparent divergence in the fortunes of New Zealand compared to its larger neighbour across the Tasman Sea could be reflected in the AUD/NZD exchange rate – currently about 1.0860. The Swiss National Bank is maintaining an ultra-loose monetary policy. At its September meeting, the SNB left its main policy rates unchanged in negative territory. The SNB still believes the Swiss Franc is “highly valued”. It insisted on the recent appreciation of the Swiss Franc and believes that the situation on the foreign exchange market is still fragile. Indeed, the worries in emerging countries, the discussions on the Italian budget and the uncertainties surrounding Brexit pushed the Swiss Franc, a currency considered a safe-haven, to appreciate strongly against the euro. At its September meeting, the SNB has revised downwards its inflation forecast for 2019 and 2020, signalling a dovish stance. This probably means that monetary policy will remain very accommodative in the coming years and much longer than previously expected. We don’t expect any rate hike before the ECB starts raising its own rates. Given that the ECB is not expecting to hike before the end of the summer of 2019, we think the SNB will not hike interest rates before December 2019. And given the global risk environment looks increasingly fragile, it looks increasingly possible that the first rate increase will be postponed into 2020. The Riksbank’s September meeting was a pivotal one, with policymakers providing firm guidance that they intend to hike rates in either December or February. Having committed so clearly to a hike, it is unlikely that they will back down now. The October meeting is likely to prove less interesting, with policymakers reiterating their previous stance and aiming to keep their options open ahead of the key decision in December. 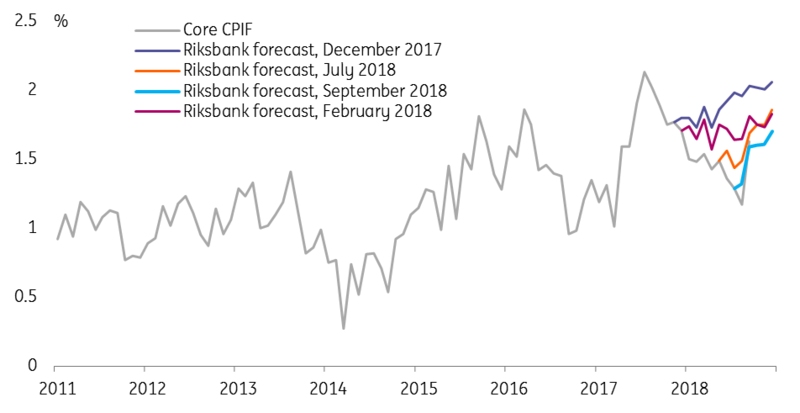 Underlying inflation picked up in September, meeting the Riksbank's core inflation forecast for only the second time this year. This will provide further support for the more hawkish members of the Riksbank board who want to raise rates sooner rather than later (two deputy governors, Ohlsson and Floden, are likely to vote for a hike in December). Set against that, it is becoming increasingly clear that the Swedish economy is slowing, with the housing slowdown hitting construction and household consumption. That, along with the continued fragile global risk environment, will in our view be enough to keep the cautious Riksbank majority from hiking until early next year. In September, Norges Bank raised rates to 0.75%, the first hike in seven years. But relatively dovish rhetoric and a downward revision to the interest rate forecast meant that, despite the hike, the Norwegian central bank actually shifted towards a more cautious stance. Having achieved lift-off in September, the Norwegian central bank will not be shifting its policy stance much at the October meeting. With two rate hikes expected for 2019, we continue to see risks as somewhat skewed towards the upside for Norwegian rates, but the bar for a more hawkish stance is fairly high. The September decision showed the NB is reluctant to increase rates any faster than two hikes per year indicated in the current forecast. The key reason behind this caution is the high degree of indebtedness among Norwegian households related to the rapid house price increases over recent years. So despite a solid economy, rising oil prices and upside surprises to inflation, it is unlikely the NB will revisit its stance until at least December. We think it would take fairly material upside to the NB's forecasts in order to shift the policy stance in the near term and put a third hike in 2019 back on the table.